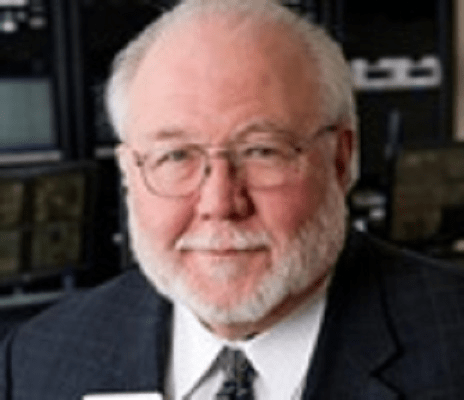 President of Allstate Security Industries and longtime industry member Robert Dale Elliott passed away on Oct. 19, 2012. Memorial services were held in First Baptist Church in Amarillo, TX, with Dr. Howard Batson officiating. Mr. Elliott was born Oct. 10, 1938, in Amarillo to Joe and Joyce Elliott. He grew up in Amarillo and attended Amarillo High School, graduating in 1957. After graduation, Dale joined the Navy and served on the USS Yorktown as a Yeoman until 1959. In 1967, he became owner of Allstate Security in Amarillo. Mr. Elliott was a staunch supporter of Big Brothers Big Sisters, Cal Farley’s Boys Ranch, Rotary and United Way. He loved teaching judo that he learned in the Navy. Dale also developed a love for antique oriental art while in the military. He was preceded in death by his parents; a sister, Pat Allen; his grandparents, Horace and Mildred Elliott; and a grandson, Blake Andrew Renfroe. Survivors include a brother, Tom Elliott and wife Sandy of Joplin, Mo. ; two daughters, Kim Rose of Amarillo and Joyce Annjeanette Kuczenski and husband Lawrence of Fort Hood; a special friend, Julie Hart of Amarillo; two grandsons, Randall Renfroe and wife Kasey and Dustin Rose and wife Amber, all of Amarillo; a great-grandchild, Avery Rose of Amarillo; and the entire Allstate Security family. Below is a reflection of his life in his own words. While still a junior in high school I worked as an ambulance attendant and among other things I delivered 8 human babies. I joined the United States Navy Reserve the day after my 17th birthday. Once I graduated from Amarillo High in 1957 I went to Amarillo College for a year. I spent 2 ½ years in the reserves before going to active duty. I spent 2 years aboard the USS Yorktown, an aircraft carrier in the South Pacific. I studied Judo at the Kodokan Judo Institute in Tokyo, Japan. This enabled me to teach combative tactics to the 66 marines on the USS Yorktown. When I was honorable discharged from the Navy I returned to Amarillo and started working as a private investigator while attending Amarillo College. That lasted for 3 months until I was shot at while watching the wrong property. STRIKE 1. I then took a 6 week training class as an Arthur Murray Dance instructor and I taught there for 3 months until I determined the business was a scam and I offered to throw the owner down the stairs. That ended my dancing career. STRIKE 2 -then I started selling life insurance at age 22 until age 27 where I enjoyed a modicum of success. Ten days before I turned 28 I started Amarillo Burglar Control on October 1, 1967 with $320.00 in capital. In 1975 I bought 3 security companies: Beasley Alarm, which began on January 1, 1926, Hereford Electronics and Allstate Security Industries, Inc., which started in 1970. All 3 were merged into Allstate Security Industries, Inc. (ASI) in 1977. Since then I have bought 18 additional security companies throughout Texas and New Mexico for a total of 21 companies. They have all been merged under the name Allstate Security Industries, Inc.
Colorado, and Texas within a 250 mile radius of Amarillo. ASI has been named Small Business of the Year by the U.S. Small Business Association (SBA) and the Amarillo Globe News. I have been elected to local, regional, state, national, and international positions in various security related organizations. I was elected as President of the Golden Spread Better Business Bureau and held offices in various other civic organizations. ASI has been chosen through the Amarillo Globe News “Best of Amarillo” program as the best Security Company for the last few years. ASI also has the only 5 diamond rated central station in the area as measured but the Central Station Alarm Association. While I was building this conglomeration I have been married and divorced 5 times, STRIKES 3, 4, 5, 6, and 7. I am the father of 2 beautiful daughters. My daughters have blessed me with 3 grandsons: Dustin – 26, Randall – 26, and Blake who died 8 years ago at age 15. Also, along the way, I became a big brother for 23 years to 8 little brothers. I was President of the Big Brothers/Big Sisters of Amarillo organization and I was selected as Big Brother of the year for Amarillo in 1968 and nominated twice as Big Brother of the year for the entire United States in 1980 and 1982.
taught for 19 years and competed until I was 40 years old. These are two organizations that for the last 30 years have governed and regulated the security and fire alarm industry in the state of Texas. I currently serve as Region 1 Director (which covers 71 counties) of the Texas Burglar and Fire Alarm Association, an organization which I helped found 24 years ago. Today I am working as hard as I did 40 years ago when I started in the alarm industry. Thank goodness I now have the help of my grandson, Randall Renfroe. However, with seven strikes against me I hope I am not “OUT”. The last thing that I am proud of is having been selected as co-chairman of the Amarillo High School 1957, 50th reunion committee. Thank you for allowing me the opportunity to serve you in this capacity. Dale Elliott – alias Mr. Protection. P.S. Make it a point to say “HI” to the guy in the green top hat.